Time for a cover reveal! Feast your eyes on the cover for The Ghost of Josiah Grimshaw, a Morgan Sisters novel by Suzy Turner. Adopted sisters Lana Beth and Emma Jane are polar opposites, but when the same strange 'tattoo' suddenly appears and winds its way up their bodies within days of each other, they realise there's more to their relationship than they could ever have imagined. Sent off to London for two weeks of work experience, the Morgan Sisters soon find themselves being initiated into the ancient Praxos Foundation, one that protects the innocent while fighting evil, both human and supernatural. 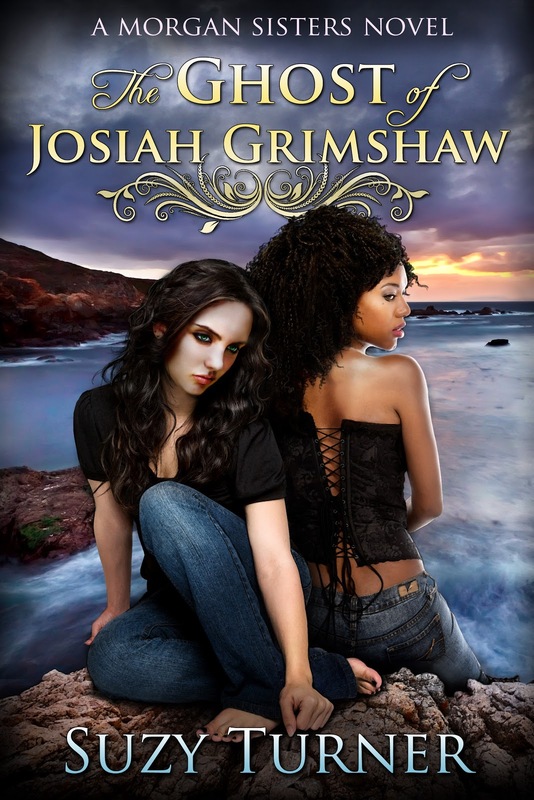 The Ghost of Josiah Grimshaw is due to be released on November 14, 2012. To learn more about Suzy Turner and her books, please visit her website or check out our interview with Suzy here at From the Shadows. Oohhh- this sounds fascinating. I am definitely curious about this one. I also love the sky on the cover. Thanks for sharing. DMS, I'm so glad you like the cover! !